The 19th century saw a generation of Romantic Travelers who redefined ways to observe places and people. They didn’t judge according to idealised success but rather the way people and places were able to generate emotions through authenticity and beauty. Their principles meant that they resisted judgment based upon status or reason but instead preferring to observe and study based on inspiration. They traveled to Southern Spain to learn about the links between its history, people’s lifestyles and their environment. They studied the Andalusian landscapes and their ability to trigger feelings that they regarded as internal images of those landscapes. 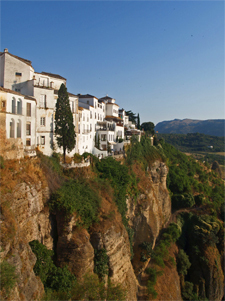 It aims to showing from a local perspective how the different cultures that have lived in Southern Spain throughout history have shaped its unique architecture, ancient industries, breath-taking landscapes and living traditions in the West of its most picturesque region: Andalusia. The tour starts in the capital of the region (Seville) where we will have our first contact with the culture, the architecture and the inspiring history that will accompany us along our journey. From Seville we will move towards the province of Cádiz where we will see how traditions and traditional industries have survived the modern times and are still roaring thanks to the support and participation of the local communities who we will have the chance to meet in their work places. We will explore in depth the Sherry Triangle region and understand the secrets of the production of its world-wide known wines. We will experience the local gastronomy by taking a cooking class in a very special kitchen. 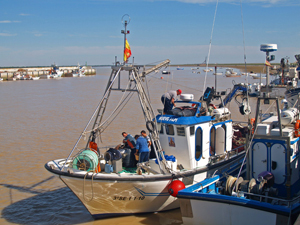 We will also visit a fishing port where we will see the auction of the fish. And of course we won’t leave the area without watching a flamenco performance in Jerez, the cradle of this music. The province of Cádiz will later offer us the colorful beauty of the natural park of the strait of Gibraltar and the vibrancy and cosmopolitan identity of the quaint whitewashed village of Tarifa, the southernmost point of continental Europe. From Tarifa, we will head north through the mountains to discover some of the most rural industries of Andalusia and the beautiful town of Ronda. Its location at 740 meters above the sea level on the edge of a dramatic gorge made it one of the highlights on the trip of every Romantic traveler. Besides, Ronda will show us amazingly preserved evidence of Andalusia’s Muslim past. 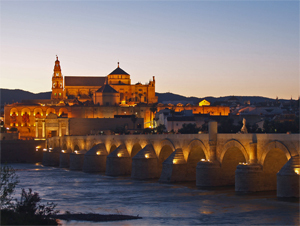 Then we will travel to Córdoba where we will learn how Jewish, Muslim and Christians coexisted in harmony in the lower medieval times turning the city into an intellectual hub that became the capital of Muslim Spain. Proof of this splendor is the Great Mosque, definitely one of the most amazing temples in Andalusia, that hides amongst the alleyways and quirky squares of the historical centre of Córdoba. Finally we will come back to Seville to explore the lesser known areas of its historical centre in order to get a wider perspective of the capital of Andalusia and its inhabitants. We will focus on a very particular architecture style that will uncover a thrilling period of the history of the city. On the last evening we will have a farewell dinner in the capital to review a collection of enriching experiences that will surely generate a rewarding feeling of inspiration, enrichment and understanding of the Spanish culture. This tour can take up to 8 people and it is ideal for a group of friends or a family wishing to enjoy unique and beautiful opportunities to come into contact with the local culture during their holidays. It includes the services of your personal guide and driver throughout the journey, all entrances to the sites and tour visits as well as full accommodation in great hand picked hotels and some carefully selected meals in wonderful local restaurants. If you’d like to see the full programme in detail, you can contact us here.